PixelMe powers your digital marketing attribution. 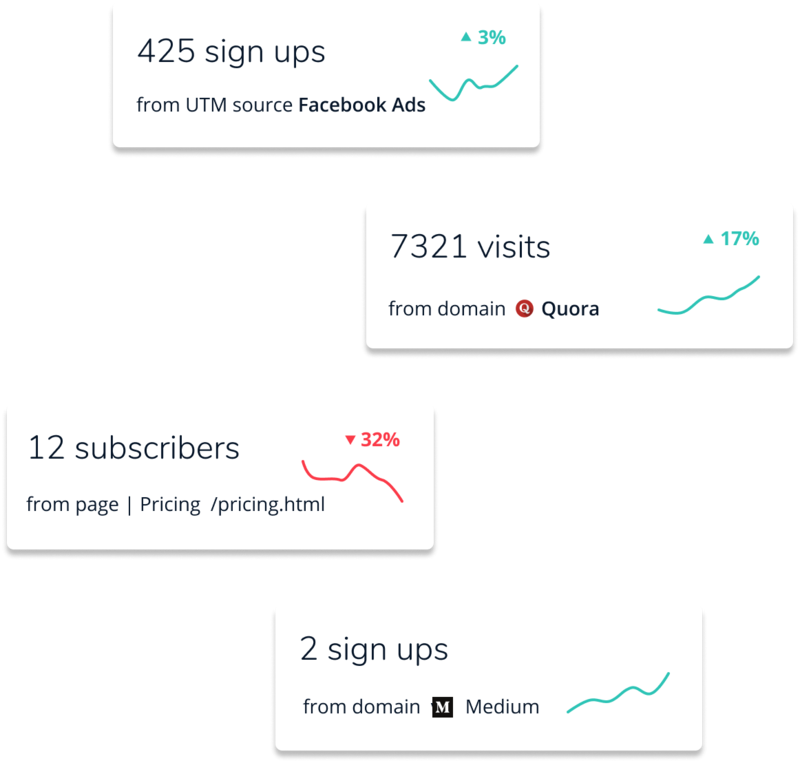 Boost revenue by shortening your links with UTM tags and retargeting pixels, and measure your ROI across channels in one place. 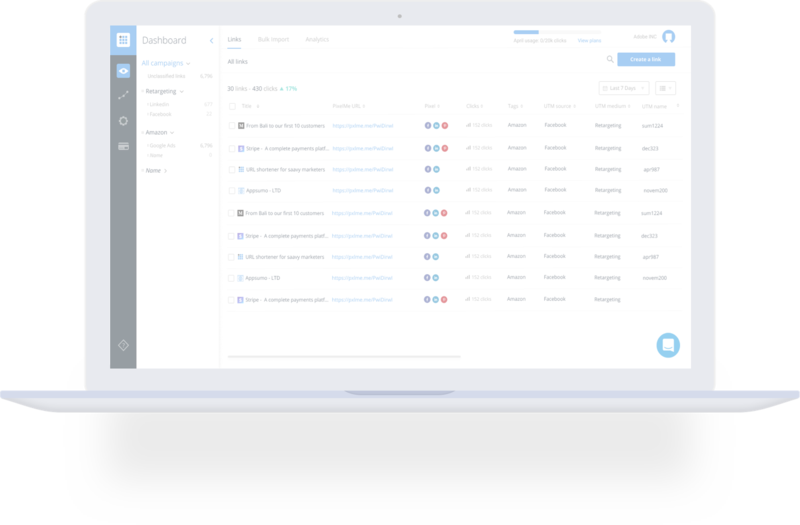 Track your paid acquisition, retarget people who clicked on your links & manage your campaigns from one place. Build branded short URLs through custom domains to increase CTR. 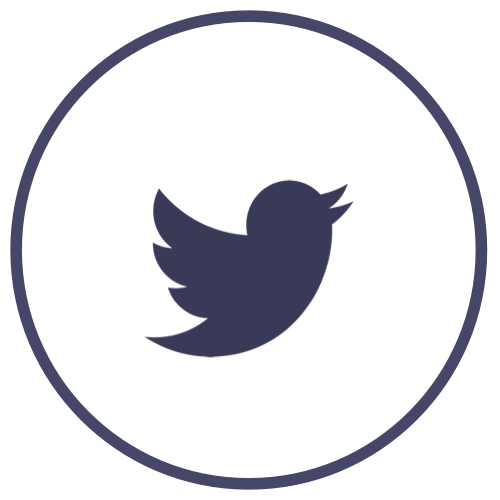 Share and track your links across your social channels and campaigns. Add retargeting pixels to your links and turn every URL into perfectly targeted ads. Retarget visitors from 3rd party sites like Amazon, Kickstarter, Medium, Apple Store, and more. 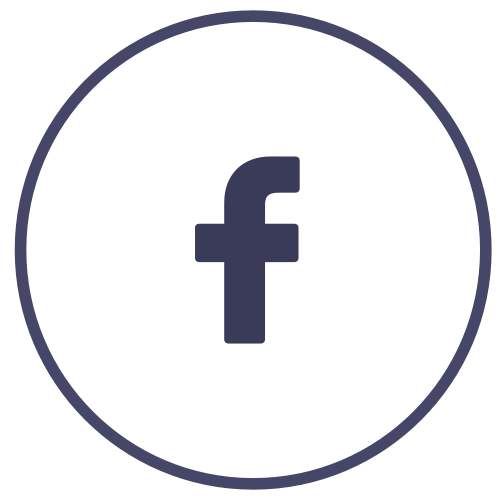 Add campaign parameters (UTM tags) to your links to track where clicks come from and how to optimize your marketing performance. Organize your links with templates, folders, and tags. Install the PixelMe conversion tracking pixel on your website to track your ad results and improve your multi-channel marketing performance. Improve and measure every link you share. Shorten links, track their performance with UTM tags, and retarget anyone who clicks on them. Optimize your links in one place. Add UTM parameters to monitor click results, and stop using messy spreadsheets. 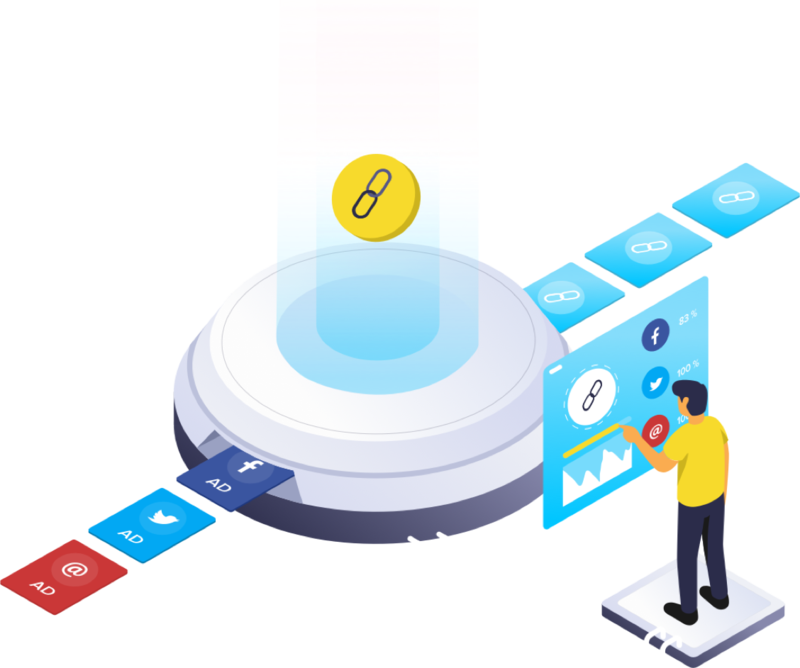 Check out some marketing use cases! 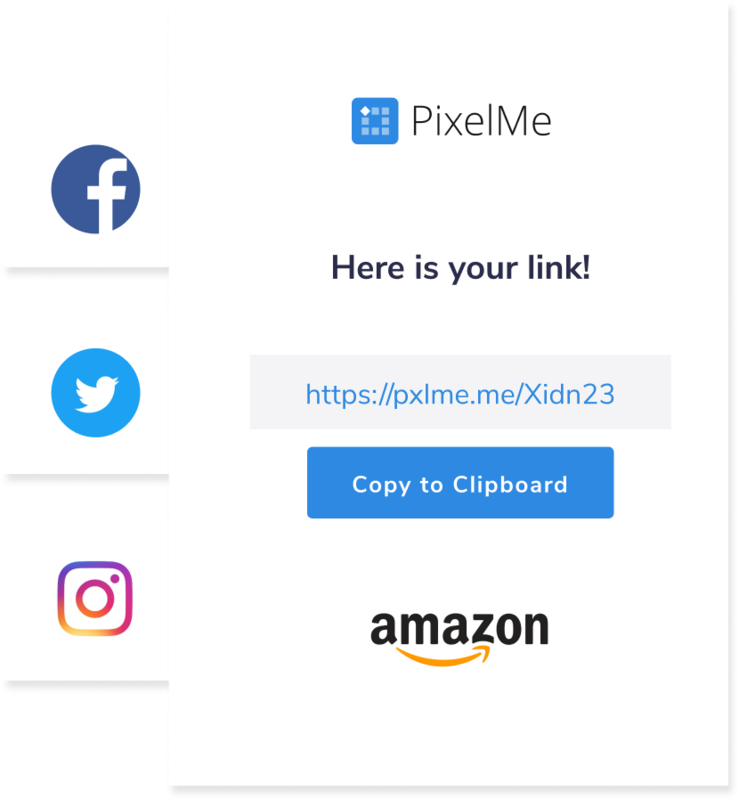 PixelMe makes it simple to send people to your Amazon store from paid ads or social media posts and retarget them afterwards. All it takes is a little extra effort upfront to increasse CTR by 600%! If you're currently using traditional methods to place ads, it's not possible to add retargeting pixels when linking to third-party platforms such as Amazon or Kickstarter. We can change that. Measure your marketing performance with UTM tracking. Understand your customer journey, track your paid acquisition, and increase revenue. Tracking conversions lets you directly see results from your marketing campaigns, so you can make smarter investments across your channels and get the most from your ad dollars.